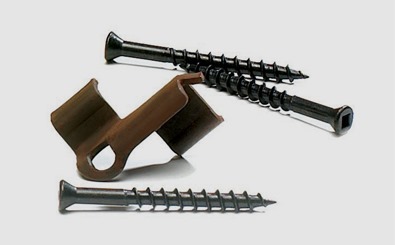 Mr Davies contacted our sales manager, Cynthia, in regards to purchasing some decking supplies for his property in Michaelston-le-Pit, Vale of Glamorgan (west of Cardiff). 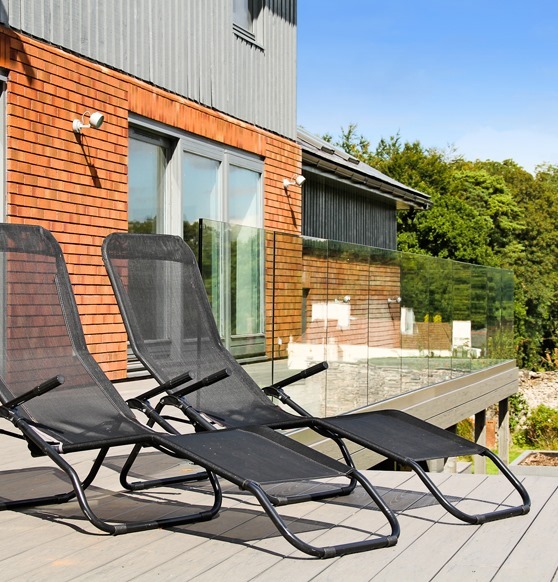 He was delighted with his free sample of EasyClean Terrain+ Silver Maple decking, and so we arranged for our in-house architect to visit the site and draw up some bespoke plans for the raised deck. 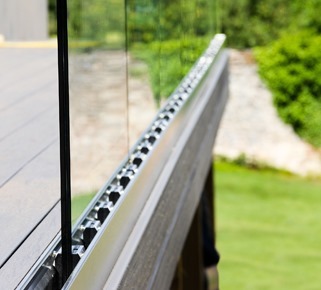 The customer ended up having our frameless glass balustrades fitted to his deck – which complemented the chic, contemporary design just beautifully. 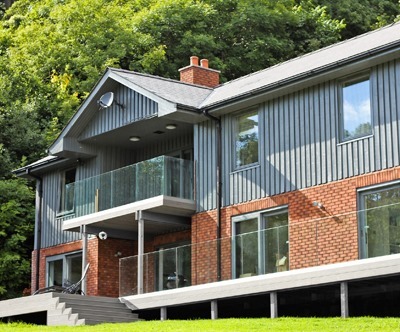 It is fair to say that Mr Davies fully utilised our extensive range of services and expertise; he also completely transformed the look of his property in the process! This was a particularly rewarding job for us to be involved in; the difference between before and after was very impressive indeed! We took huge pleasure in removing those nasty old softwood boards, and replacing them with quality decking materials which we knew would fare much better. Our help is always available along every step of the decking process, which Mr Davies took full advantage of. 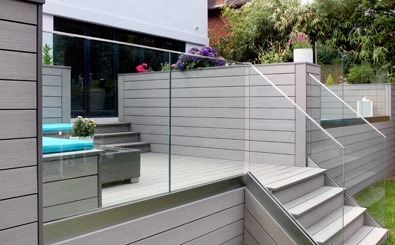 The combination of our well-designed Silver Maple decking and the effortlessly cool glass balustrades transformed Mr Davies’ property into a modern, contemporary home. We were able to take his idea, draw up the plans, and shape it into a reality! Mr Davies also made full use of our installation team – they spent two weeks ripping out his tired, old, rotten deck and handrails, and installed our Silver Maple-coloured EasyClean Terrain boards instead. As Mr Davies had recently finished painting the timber cladding on his home grey, this was an inspired colour match! 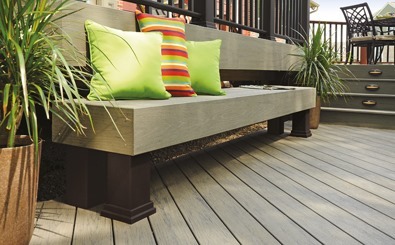 Take a look at our video which shows you, step by step, how we constructed this gorgeous raised deck. 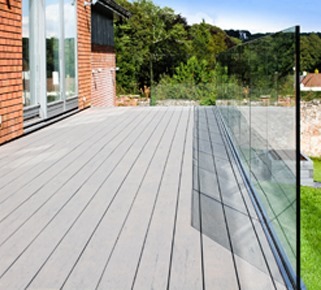 Alternatively, call 029 2080 3756 if you’d like us to assist with your own decking project!